This is the story of how I took a small, personal Instagram account from a few followers to just under 30,000 followers. Oh, and this growth was all organic! The fall after I graduated from college with a degree in art education, teaching jobs were few and far between so I became a substitute teacher. Some days I wouldn’t have work, and after hours I had no lesson plans to write or papers to grade. So I had some free time on my hands. My boredom, paired with my artistic proclivities and the fact that I had just received my first smartphone, added up to an instant love for Instagram. 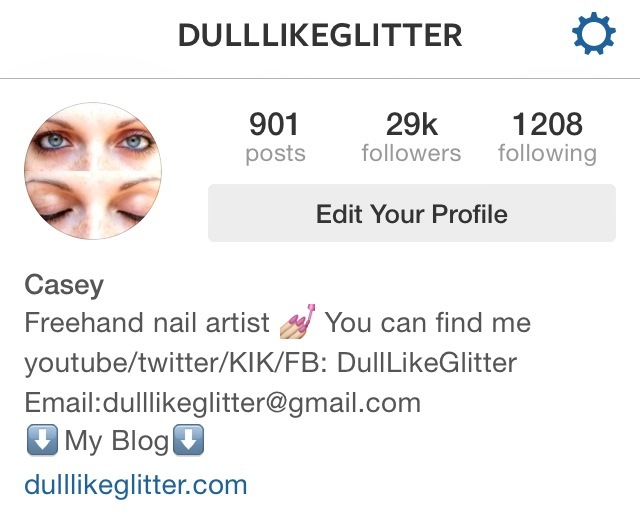 I started a personal account (@DullLikeGlitter) to share images with my friends and family. 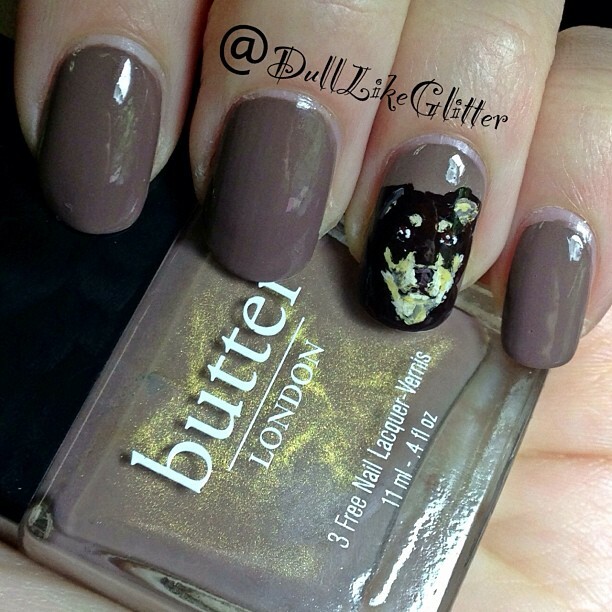 Not long after I began happily Instagraming away, I stumbled upon my first nail art image. 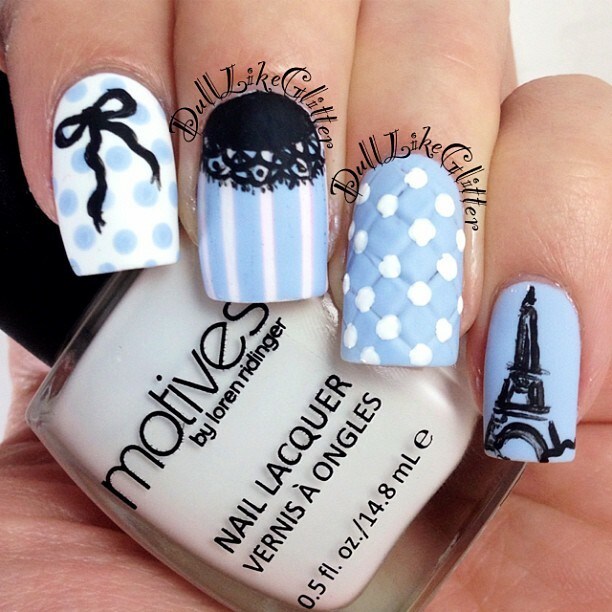 It was just a simple color with some fingers wrapped around a nail polish bottle, but I loved it! I decided to go out and purchase a few bottles and swatch them myself to share. I started following more and more nail artists, interacting with them, and becoming a part of the community. 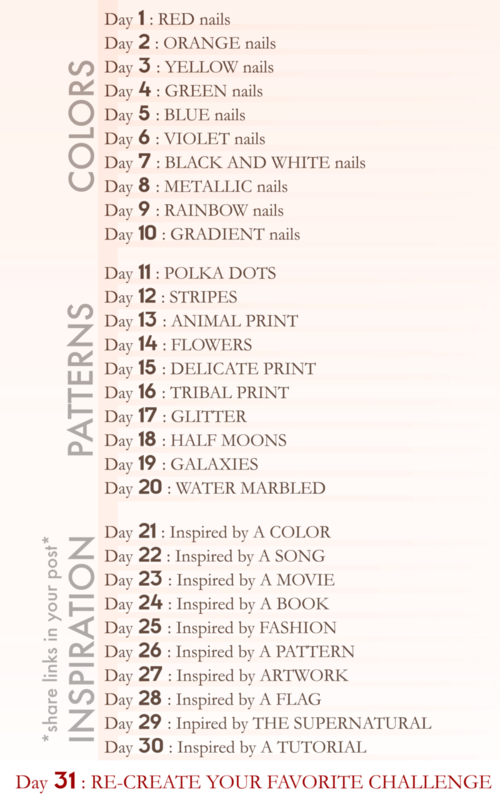 I wanted to learn more about nail art so I partook in the 30 Day Nail Challenge. Each day I did a manicure based on the theme of that day’s challenge. Some techniques were simple, while others were more complicated. It was a great crash course on nail art. 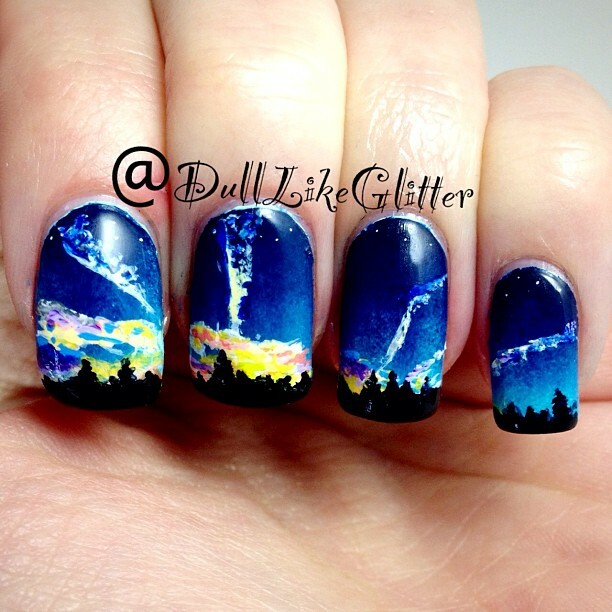 After completing the challenge, I started entering my first nail art contests. Users on Instagram frequently would sponsor contests where they would give away polish prizes to those who entered. It wasn’t long before I started keeping a list of competitions, some small, others run by established brands. I entered every competition I could! Before long I began placing as a finalist and getting featured on other Instagram accounts for my work. These crossovers gave me an uptick in followers as my images and name went out across other accounts. As I became more well-known, I hosted my own competitions and giveaways. At first these were run by me, but as my account grew, brands reached out to me for collaborations and offered prizes. 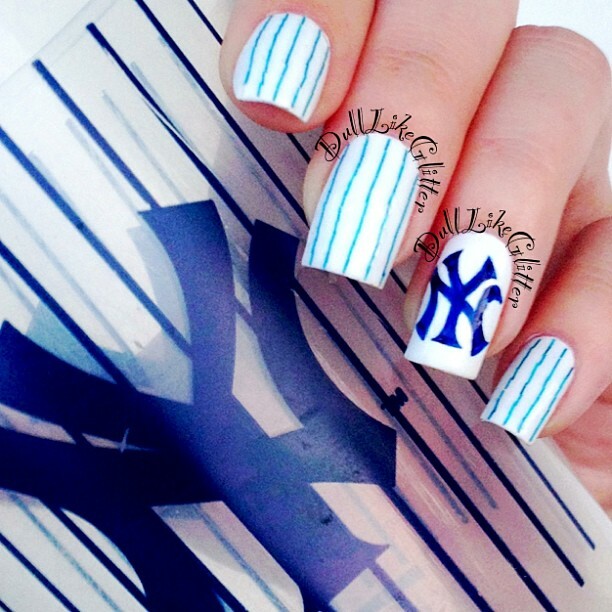 Some brands requested nail art designs to promote them. 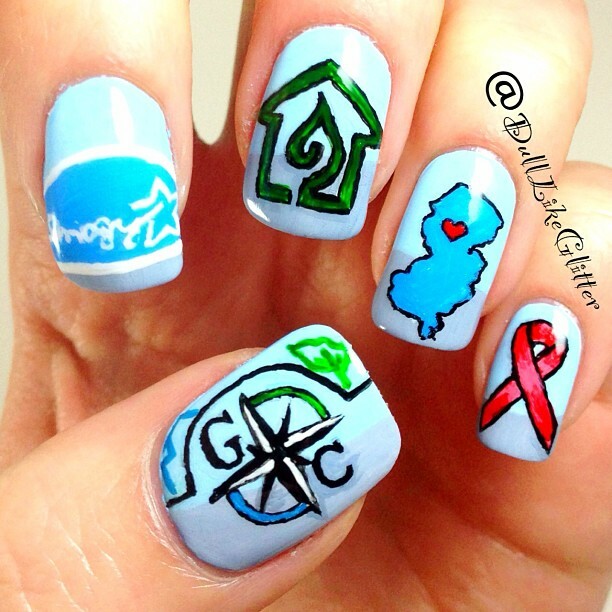 Groundswell Contracting had me create a nail design to promote their services in NJ. Being a part of the community is more than just competitions. I got to know many of the personalities through their accounts and made friends I would never have had the pleasure to meet in real life. When one well-known nail account took a short break from Instagram after her beloved dog fell ill, many nail artists in the community created manicures with the hashtag #savebruce. Polish brands caught onto the tag and offered rare polishes to auction as a way to help fund medical bills for Bruce. In support of the hashtag, I created a hand-painted portrait of Bruce to let followers know about the auctions going on for his benefit. Ultimately, thousands of dollars ended up being raised to help pay for Bruce’s medical treatments, prolonging his life. When popular 13 year-old beauty vlogger and Covergirl Talia Joy passed away from cancer, the nail art community responded. 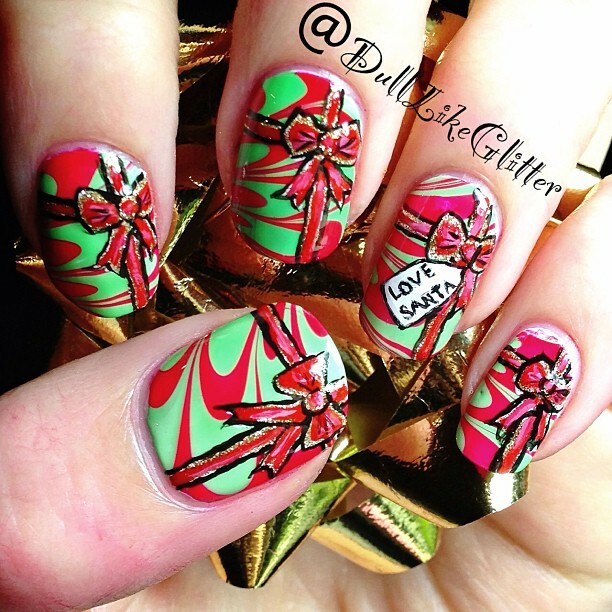 Nail artists, fans, and friends sported mint nails, Talias favorite color, in her memory and to help raise awareness. Instagram’s popular page typically had beauty images on the front page. Many of these accounts that made the popular page had millions of followers, but they didn’t create their own content. Instead they would feature artists to create a style book type of feed. I started tagging my photos using these large accounts’ hashtags and then emailed them to be considered for posting. 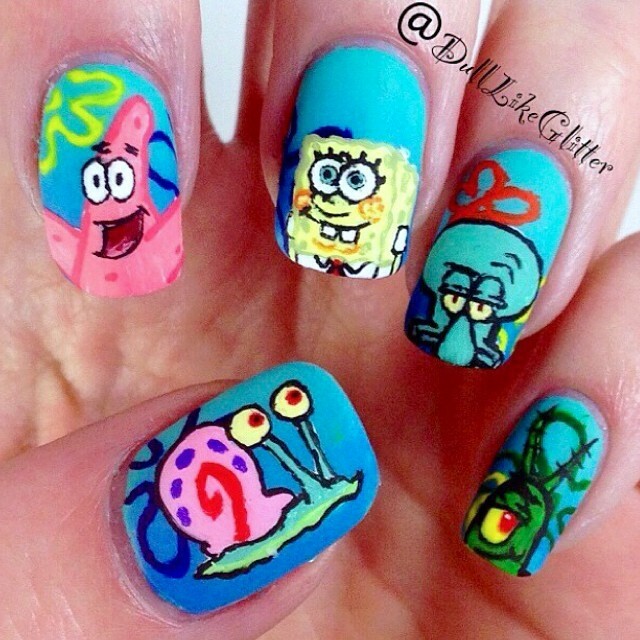 Some of my more advanced nail art looks began to be featured and shown to millions of followers, even making the popular page! 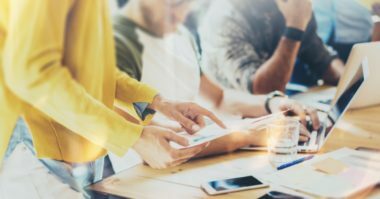 On feed sites such as Twitter and Instagram, hashtags play an integral part in expanding reach. 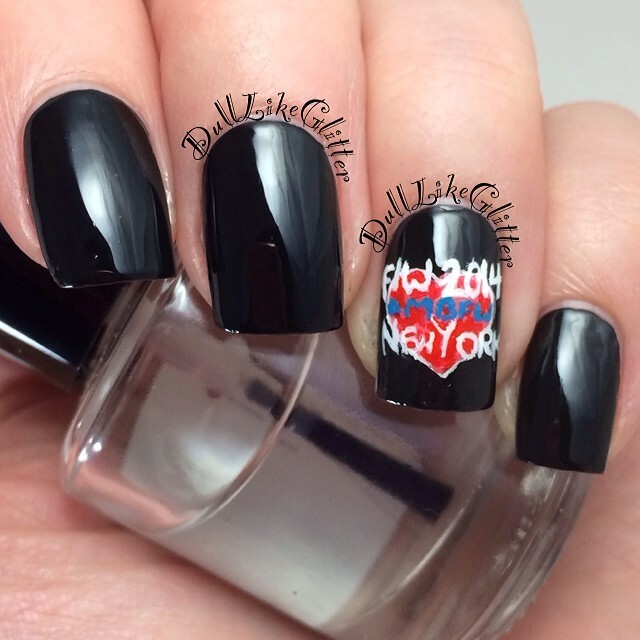 Searching online for “top nail tags” will easily reveal a list of popular hashtags that make for great labels. Because my account is so busy and gets multiple comments, I usually refrain from using tags in the caption. Instead I will go back to my photo and write a comment early on that is just a bunch of hashtags. Instagram only shows the most recent four comments below a photo. As the comments come in from fans, the hashtags end up being pushed up to the hidden comments. Using this technique helps to add as many hastags as I can to a photo while not overloading fans. 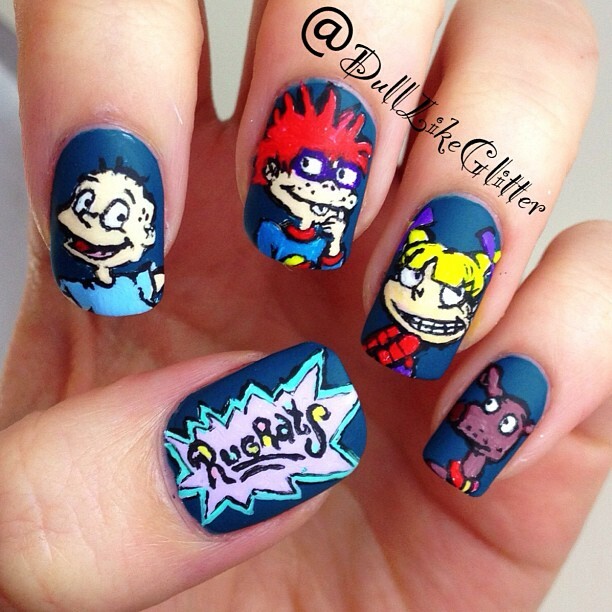 When I tagged these Rugrats nails with 90’s themed tags, my content was shown to a new, relevant audience. 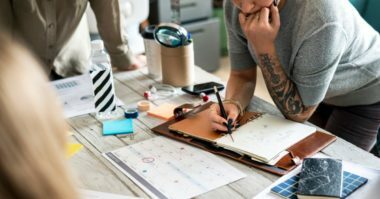 By building my own personal brand, I learned many techniques for gaining and maintaining a dedicated following. Becoming a part of a community with responsiveness and social listening helps fans understand who you are. Crossovers and interaction with other accounts are often well-received and open up your brand to a new audience. Giveaways introduce you to new fans and keep current fans interested. Engaging content keeps fans returning to your account to like and comment. With Instagram’s new explore page (as opposed to the popular page) there are even better chances for being seen by a relevant audience. Content that is strategic and visually interesting is key. 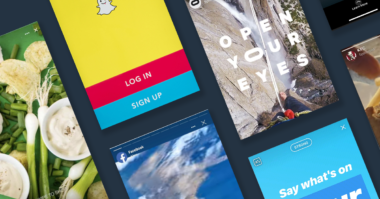 Are Stories the Future of Social Media?